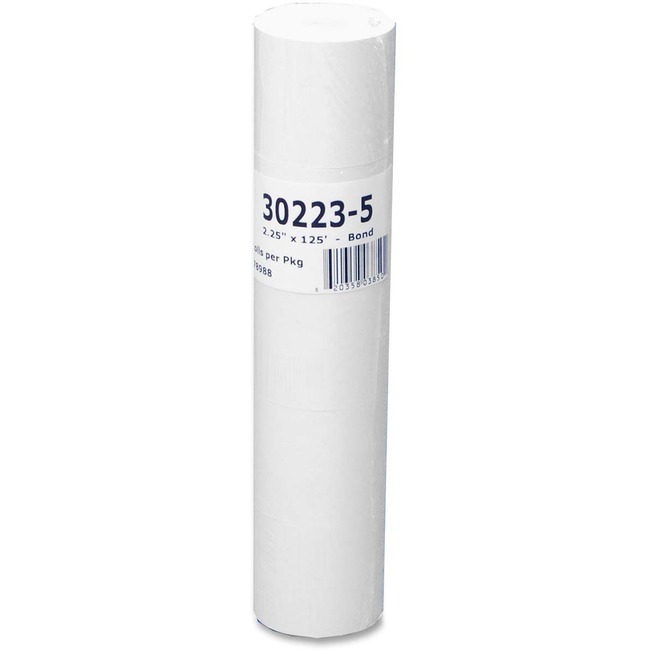 High-quality, lint-free paper roll is manufactured to exacting OEM standards. White bond roll for calculator and cash register reduce paper jams and increase ink ribbon life. Include end of roll warning stripes.